In parts 2 and 3 we collected data on the market and can now develop a basic housing demand model for the Las Vegas MSA. 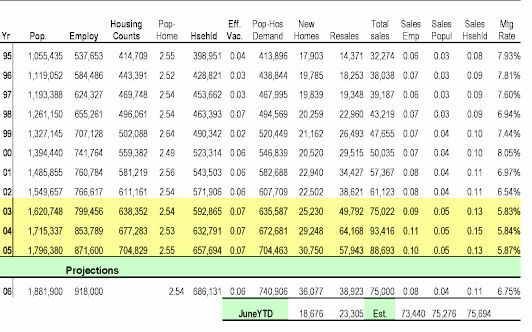 Now it’s time to see where it fits together to develop a housing demand forecast. 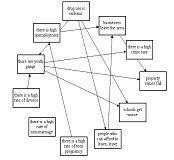 This is an employment driven model with 2006 employment based on the current estimates by the Center for Business & Economic Research at UNLV. Use the chart to follow the calculations. Note: You'll find "step by step" instructions after the chart as this article continues. Also, "click" on the chart to enlarge it. The numbers may be hard to read in some browsers. Apex Software's Medina and Nexus Products Unveiled - "It's NOT Just Sketching Anymore!" 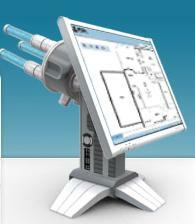 Apex Software has been setting the standard in desktop sketching solutions since 1987. Most appraisers know Apex as a desktop product that's focused on making appraisal sketching fast, easy, and accurate. I can't even remember when I last had to "calculate" the square footage of a home! But how many ALSO think of Apex Software in terms of mobile sketching, data collection, training and support? Randy Garrett, CEO of Apex Software says; "I think the biggest turn Apex made as a company was when I decided we were going to do more than sketching." "We haven’t really told our customers, but since that decision we’ve created new products, expanded into new markets, and even into another country." "What I love best is we’ve taken what we’ve learned and are developing dramatically better solutions for appraisers and related industries." "Medina, our upcoming new desktop version of Apex, and Nexus, our upcoming mobility product, are two examples." This is part three of a 5 - part series on Market Analysis for Appraisers. A new part will appear each day. We’ve talked about the “who and the what” so now its time for the “when” as in when things change.” To read part 1 "click here." For part 2 "click here." Employment is the trigger that signals economic booms and busts. Every base industry job generates two additional secondary jobs … the multiplier effect. However employment is not the only catalyst for change in a community. While gaming and tourism dominates employment in Southern Nevada, as in any metropolitan area growth itself has become a multiplier in the Las Vegas economy. Expansion of major employment (gaming, tourism and hospitality related businesses) creates construction employment, both direct (for the gaming properties themselves) and indirect (infrastructure-roads, airport/transportation, housing, retail, industrial, etc.). As a city and its population expand, the demand for products and services reaches a level that triggers the development or relocation of business that were once outside the market area. In the 1970’s, grocery stores shipped products daily by truck from Los Angeles to stores in Las Vegas. As Vegas grew, these companies developed warehouses to hold goods here so stores could re-stock locally, eliminating the need to truck-in daily. This in turn generated local jobs, which in turn increased demand for other goods and services. According to the article "Home Improvements to Avoid When Selling Your House" by Amy Hoak From The Wall Street Journal Online - Click here for full article : "Homeowners hear a lot about improvements that might add value to houses. But less attention is paid to what to avoid." 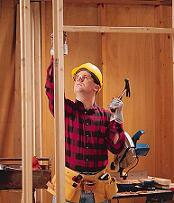 Steer clear of renovations that will cost you money at resale time. Avoid these seven deadly sins of remodeling if you want an edge over other home sellers in an iffy market. 1. Overexpanding : Trying to keep up with the Joneses is fine, but don't keep outdoing neighbors with additions unless you plan to stay put a long time. A home that becomes conspicuously larger -- and more expensive -- than those around it will risk becoming hard to sell, Mrs. Slaughter says. 2. Making your home into something it's not : Don't change the general architecture of the home, and make sure that renovations match. Changes that are obviously inconsistent with the home's style will limit the number of people interested in buying it, says Michael Nagel, vice chairman of the National Association of Home Builders' Remodelors Council. This is part two of a five part series on Market Analysis for Appraisers. A new part will appear each day. In part 1 we talked about the “ who” that should do this. In this segment we’ll discuss “what” types of things that should be done. 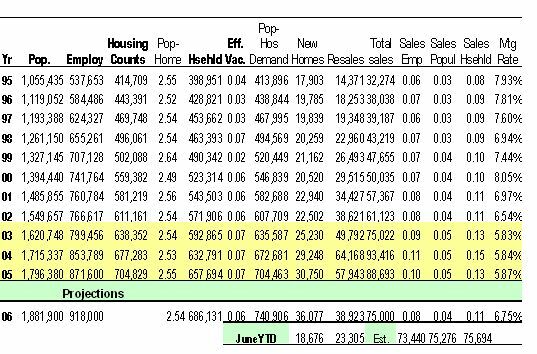 To read "Looking Back to the Future: Market Analysis for Real Estate Appraisers - Part 1 "click here"
While the demographics of an area (population, employment, households and housing counts) makes the economy move, it’s the relationships between the economic indicators that tell the story. Examine demographic and economic data sets from any community and over time, you’ll notice certain patterns or trends. When you chart the data and do some analysis, the picture gets clearer. The chart below shows the population, employment, existing housing inventory and households for the Las Vegas MSA over the past 15 years. Exterior Insulation and Finish Systems (EIFS) are multi-layered exterior wall systems that are used on both commercial buildings and homes. They provide superior energy efficiency and offer much greater design flexibility than other cladding products. Developed in Europe in the 1950s, EIFS were introduced in the U.S. almost 30 years ago. They were first used on commercial buildings, and later, on homes. Today, EIFS account for nearly 30% of the U.S. commercial exterior wall market. Should defective EIFS be ripped off or not? That's the million dollar question! The answer is uncomplicated, and applies to practically all types of cladding. For starters, you must go beyond the symptoms of water intrusion problems, and find the actual sources of the leaks. After all, a constant drip on your forehead should be all the proof you need that you need help. Most EIFS problems occur in residential construction due to a lack of quality control initiatives in the field. EIFS is not a cladding the average homeowner can repair, but many EIFS repair contractors have been trained in the repair through manufacturers. Before you hire any so-called EIFS expert remember to do your homework and ask for references. 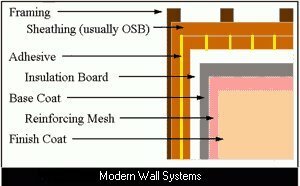 Let’s start with the basic facts about EIFS cladding, many of which contradict popular opinion. HomeSight, a Decatur, Ill.-based company, has announced an agreement with Apex Software to expand its interactive floor plan and virtual tour services to a larger audience. HomeSight offers rendered floor plans that are linked with property information and photos, allowing sellers and their agents to provide an online "open house." "By partnering with Apex Software, HomeSight now has the resources and software tools to expand our Realtor support services nationwide and beyond," stated Tom Brinkoetter, HomeSight president. Randall H. Garrett, CEO for Apex Software, said in a statement that the Apex's industry relationships and experience should assist HomeSight's expansion. HomeSight is expanding rapidly and is always looking for “State Certified” Appraisers to inspect properties for the purpose of drawing an as-built floor plan and shooting pictures. Think of this as an opportunity to supplement your existing appraisal business. However, many of the appraisers who do field work for HomeSight have transitioned into working for us on a full-time basis as Independent Contractors. You can get started in this new and exciting business for a very small investment and if HomeSight has or obtains an exclusive contract to provide service in your area, we will even guarantee you a minimum amount of work. 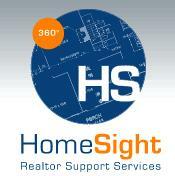 Why does HomeSight only use Appraisers for fieldwork? READ ON . . . . This is the first part in a 5 - part series on Market Analysis for Appraisers. A new part will appear each day. Einstein said it best … “in order to solve a problem, you must be thinking at a higher level then you were when the problem was created.” Market analysis is a problem appraisers face with every assignment … filling out the form or writing the narrative is part of reporting your conclusions, but is not the appraisal. "An appraisal is the act or process of estimating value and since appraisers must consider value within the framework of the local real estate economy, market analysis is essential to the appraisal of real estate. The appraiser’s task is to read the market and then develop an opinion of value for a property within the current context of its market environment." Market analysis is more than just understanding supply and demand. In depth, it considers affordability, highest and best use, timing for proposed projects, the impact of future events, etc. In direct sales comparison, market analysis helps determine the impact of changes in the market since the time of comparable sales and if adjustments for those changes are warranted. USPAP Standards require the appraiser to analyze the market with respect to trends (General Data), supply and demand (Competitive Market Environment) along with indicators from comparable data (Specific Data) to determine the impact and relevance of each to the subject property. 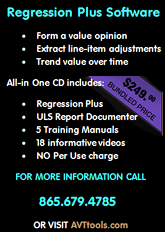 When you’re completing the appraisal report, what type of analysis are you doing to answer those and other questions? How Much Are Bathrooms Really Worth? The National Association of Home Builders (NAHB) says their in-depth analysis (based on data from the American Housing Survey (AHS)) makes it possible for builders and remodelers in suburban locations to provide their customers with a fairly precise estimate of how much bathrooms add to the value of their homes. Looking at recently released data from last year’s AHS, the bottom-line results of the NAHB study reveal that a half-bath adds approximately 10.5% to a suburban home’s value and a full bath adds about 20%. How does that compare with YOUR adjustment for bathrooms? Using their average percent "value" gains for a half and full bath, one would expect to see adjustments to a $200,000 home in the range of $20,000 to $40,000! That's of course as long as the numbers of baths and bedrooms stay in synch. Is ALL of that contributory value of the bath? Could it be the home has some functional obsolescence? For example, consider a 2,400 square foot 2-story home, with four bedrooms, and only 1.5 baths! Maybe half of the reported $40,000 gain started out as a $20,000 negative impact on an otherwise marketable home? As we add a bath are we also adding Gross Living Area (GLA) square footage? That might be for the bath alone or an additional bedroom to keep things in synch. Maybe $5,000 to $10,000 could be attributed to size? What I'm wondering is if a $20,000 to $40,000 bath room gain might actually be spread over several categories in the typical appraisal's market adjustment grid? Functional utility, Gross Living Area, and Bath count. I believe one has to be careful when they just say "Adding a bath will increase the value of your home by 20%!" There may be many other factors in play. For information that home owners can use to compare the actual cost of a bathroom addition to how much it will add to the dollar value of their home, click here. The data is broken down regionally — with California being separated from the rest of the West because its home prices are much higher — and by the square footage of the home and the number of bedrooms. To access the NAHB House Price Estimator interactively online and experiment with various combinations of amenities to see how they change the value of a home, click here. The buzzword for the real estate industry might be “Location, Location, Location,” but to help prevent and mitigate a potential Errors & Omission claim, the motto should be: “Document, Document, Document!” according to Author Elaine Matternas (atinfo@intercorpinc.net ). If followed religiously without fail, this motto can save real estate appraisers from a day in court. Operating policies and procedures that are well-documented, communicated to your staff, and adhered to consistently on a day-in day-out basis will go a long way toward helping you to prevent an Errors & Omissions claim. Let’s start at the beginning. 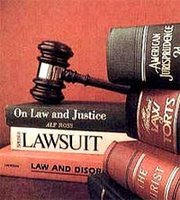 You receive an assignment or request from a client to provide a professional opinion of the value of real property. . . .